This Mediterranean home style home was once an eyesore and a blight on the entire block. 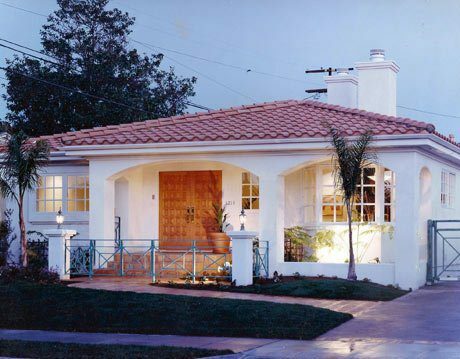 But after a full interior/exterior remodel, this home became the showplace of the neighborhood! Starting with something that could only be called a “fixer-upper”, BSA Inc Design & Construction turned it into a Santa Monica couple’s luxury dream home. 3. Additional storage in: garage; kitchen; converted alcoves; etc. 14. Ease of use planning: roll-out kitchen cabinet shelves; built-in attic ladder pull-down access; self closing drawers; utility on-off timer systems and sports equipment storage spaces. 21. Value oriented designs from (29) years of building experience that result in quality, timely and cost-effective construction. Contact us for your complimentary one hour on-site design and construction consultation.